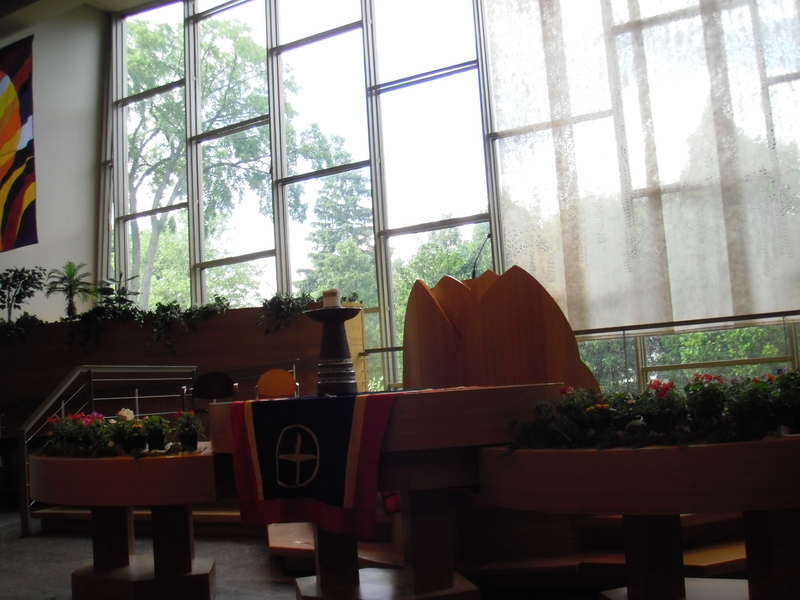 This is the second in a series of articles that I am bringing to Celestial Lands over t he first few months of this New Year, exploring several aspects of the interrelation between professional ministry, congregations, and the current UUA search process. Future articles will include an exploration of the different models of supporting ministry, whether or not an interim ministry should be necessary, and the changing managerial expectations of the professional ministry, among other topics. The opinions in each article of this series are based upon my own experience, the experience of a few colleagues, and my conversations with ministers of other denominations through serving as a reserve military chaplain. The previous article discussed the nature of contract ministry in relation to called ministry, and the challenges of the lines between the two being blurred. No one is ever unbiased… least of all me when it comes to issues within our congregations. I passionately love and care about church, the purpose of church, how our churches function, and what our churches mean and do in the world. I do not believe there is a single, right way to do church. There are as many ways to do church as there are churches. Yet, I do find I believe that some of the things churches do can be ineffectual, unjust, and counter to their mission in the world. No one is ever unbiased, and so the answer is to make your biases as explicit as you can, to yourself and others, whenever you write or speak about a topic. I think the introduction to every work of non-fiction should try to state the biases of the author as much as the author’s interests and qualifications. If the reader knows the lens through which you write, then they have the context they need through which to read. So, with that preface, let me state my bias. I am not a fan of the contract-to-call process as I have seen it practiced in our congregations. I have also seen rare occasions where it was practiced well, and more often I have seen it practiced “well enough” to get by. Yet I believe the process to be fraught with challenges, and that it reinforces some very negative dynamics in the relationship of our congregations to the professional ministry. My goal with this article is two-fold. First, I want to express my concerns about the contract-to-call process as currently practiced by many Unitarian Universalist congregations. And, because I know how attractive the process is to both colleagues and congregations alike, I want to lay out some ways that it can be practiced that can mitigate some of the challenges and inequities I believe it creates, for both ministers and congregations. First, let me lay out how I see the contract-to-call process. In the previous article, I discussed two very different forms of professional ministry in our congregations. Called ministry is what people traditionally think of when they think of a minister, where a congregation does an extensive search process, an intensive week or more of the minister and the congregation meeting together (often called Candidating Week), and the congregation as a whole votes to call a minister to preach from their pulpit and/or practice ministry amongst them. The other form I discussed was Contract ministry, which actually includes many different forms of ministry (interim, developmental, consulting, assistant, etc.) where the minister is hired by a board of trustees or other governing body for a specific time period and for a specific purpose, rather than called by a congregation to hold the ministerial charge of a church. Contract Ministry does not require as extensive a search process or a congregational vote. Only a vote of the governing body, and in the case of contract supporting ministers the consent of the Senior Minister, is required to offer someone a contract minister position. The “contract-to-call” process came about as a way to try and bridge the gap between these two distinct forms of professional ministry… to provide a path where a minister who is brought to a congregation by a contract authorized by a governing body can move from that contract to being called by a vote of the whole congregation. Though there are some publically available documents detailing best practices on how a congregation can walk through a contract-to-call process with a minister, in practice it happens in almost as many ways as the congregations we have… hence some of my concerns. If you are already sensing a pattern in the concerns I am raising in this series of articles, you are not mistaken. I believe our being unclear about many things in the relationship between our congregations, our professional ministry, and how those two become matched with one another leads both ministers and congregations into unhealthy patterns, decisions, and relationships. If you are a leader in a congregation that is considering engaging in a contract-to-call process, I would suggest you have some serious conversations with UUA Staff and consultants about that process. I will have some suggestions of my own at the end of this article. I have never officially been in a “contract-to-call” process in any of the congregations I have served as a contract minister, so in one sense I am not speaking from personal experience. 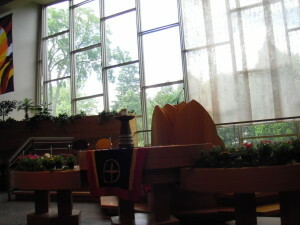 At the same time, in each of the congregations I have served the possibility that the congregation and I could engage in a contract-to-call process of some kind at some time in the future was held out as a possibility, until I decided to state that I was not willing to consider a called position. The critique I am about to offer is in part rooted in those experiences, but also in the experiences of several colleagues who have been through the process, with different levels of success. I think it is very telling that for everyone I have spoken with, the “process” and experience has been different. However, there have been some common concerns. The current process for a congregation calling a settled minister includes what is known as “Candidating Week”. It is usually 8-9 days, beginning on a Saturday or a Sunday, and ending on the following Sunday. It is an intensive time of the congregation meeting the Candidate selected by the Search Committee, and the Candidate meeting the congregation. It usually involves the Candidate preaching two sermons, meeting with the members of leadership and the membership of the congregation. The Candidate covers all ministerial duties that arise during that week (within reason). It involves social events and other opportunities for the Candidate for that settled called ministry to know and to be known. After the worship service on the second Sunday, the congregation holds a Congregational Meeting for the express purpose of voting to call or not call this Candidate to the settled ministry position. Candidating Week is not just an opportunity for the congregation to choose the minister, but for the minister to choose the congregation. This is a difficult power dynamic, where patterns of trust are being built prior to the relationship being formalized. As such, it is wisely a short, well defined, and ritualized process. The ritual of Candidating Week becomes the safe container in which this future possible relationship can begin to grow. Even though the relationship has not been formalized, roles during Candidating Week are clearly defined. Now, what if that Candidating Week were not so ritualized and defined, and went on for months or even years? What if the power dynamics that are inherent in a minister choosing a congregation and a congregation choosing a minister were to happen outside of the safe, ritualized container of Candidating Week? This is in essence what the contract-to-call process creates, depending on how undefined a particular contract-to-call process is. While the phenomenon of the Never Ending Candidating Week could be its own article, let me just highlight two detrimental aspects of this phenomenon. First, it allows all of the power dynamics that are inherent in the choice of a minister to come to the surface. Sometimes this can be obvious, as in congregants attempting to leverage their vote on a future call to “encourage” the minister to do things their way, to just the undercurrent of the minister making decisions based not on the health and spirituality of the congregation but on how it will affect that future vote to call. Second, the patterns that are set at the beginning of a ministry are enduring… and so these patterns are then set amidst a very unhealthy power dynamic. It is a dynamic where the minister is expected to have shown their commitment to the congregation before the congregation is called upon to make its own commitment to the minister. These patterns have long lasting effects upon not only that particular ministry, but upon the relationship of that congregation to professional ministry from that point on. There is no other role like that of a professional congregational minister. We expect our ministers to be leaders, managers, counselors, preachers, public speakers, mediators, justice-makers, visionaries, theologians, ecclesiologists, encouragers, academics, teachers, seekers, and so, so much more. For me, it is this very aspect of ministry that brought me to it, the challenge of a role so diverse it boggles the mind. I often have an inward chuckle discount generic imitrex each day, when I reflect back on the wide and diverse things that my role as a congregational minister calls upon me to do and to be. And, there is no other relationship quite like that between a congregation and their professional ministry. The combination of these roles with the intentions and wishes of several hundred people, all of whom are expected to be both leader and led, makes for a relationship like no other. I can go from sitting at the foot of a congregant learning from her wisdom, to just a few minutes later being her source of solace and counsel… or setting a boundary about behavior that is unacceptable… or seeking to guide her in how to turn that wisdom into serving the world. There is no one, set role for a minister… the vision of what our congregations and congregants need is too broad for that. I believe that the contract-to-call process provides too little relationship foundation to support such a broad understanding of the role of the minister. In part, that is because it loses an essential element, a sacred trust (which is my definition for “faith”) that is necessary for the ministerial relationship. It builds the foundation upon ground of “show us” rather than “we trust”. Without a grounding in trust, the ministerial relationship is impossible. In not beginning from a place of trust, the relationship is built from its beginning on unsteady and uneven ground. As I said in the previous article in this series, there are some significant benefits for ministers and congregations to engage in Contract Ministry. I will not go over these again, except to say that this very different kind of Congregational Ministry can allow congregations to be more experimental and entrepreneurial than they might be with a Called Minister. I believe that the contract-to-call process effectively negates all of the benefits of Contract Ministry for congregation and minister alike, with the exception of the congregation being free not to call the minister or renew the contract if they so choose. In talking with colleagues who have successfully navigated a contract-to-call process, they all had one thing in common… they had been acting in the role of Called Minister even while still serving under a contract. Contract-to-call preserves the freedom of the congregation to not call or contract with a minister in the future, while creating a set of congregational and ministerial expectations that limits the same freedom of the minister to leave. When I made the decision that I would not pursue a called ministry in the congregation I serve, it was surprising and even shocking to many of my congregants that I was allowed to make such a choice… even though as a Contract minister it should be understood that I can choose not to accept a new contract or modification during any contract negotiation. 1. Any Contract-to-Call process that is proposed should be engaged completely within a single ministerial contract. If a congregation and a contract minister are going to engage in a contract-to-call process, it should be done within the bounds of a single ministerial contract. If, at the end of that contract the minister has not been called, then contract-to-call should be permanently off the table. The minister can continue to engage in contract ministry with the congregation if the process had not gone too far. What should be avoided is the possibility that a future possible call be held out as a carrot on successive ministerial contracts. The majority of contract-to-call processes should be conducted within the initial contract. However, there are some developmental ministry positions where the minister and the congregation may have been through several contracts before the congregation is in a position to consider a call. The key point I am recommending is that contract-to-call be a one-time possibility, engaged fully within the timespan of a single ministerial contract. 2. The process for a contract-to-call should be laid out in detail, with clear expectations and timelines, and both the congregation and the minister should abide by it. Any ministerial contract that is to include a contract-to-call process should lay out that process in specific detail as a part of the ministerial contract. This is to include timelines within the timespan of the contract, what the specific responsibilities are and who holds those responsibilities, and what are the expectations of how the contract-to-call process will proceed. I think there are several different ways a contract-to-call process can be engaged, I am simply arguing that the process be laid out in detail in the contract of the minister prior to that contract being signed. It is both the congregation’s and the minister’s responsibility to then follow what is detailed in the contract. Either party not doing so could then be construed as a violation of the contract. 3. The contract-to-call process should include a “point of no return” provision. That process, as it is laid out in the contract of the Contract Minister, should include an agreed upon point where a decision is made by both the congregational leadership and the contract minister to proceed with the contract-to-call process or not. This should be a joint decision, understanding that beyond this point, no return is possible. I will not say where I think this point in the process should be, except to say that I would prefer it to be earlier in the process not later. Once you have passed this agreed upon point (perhaps the announcement that the congregational leadership is recommending a vote to call) then the ministry either becomes a called ministry or it ends at the end of the current contract. No future contract ministries are possible. If however, the congregation or the contract minister decide not to pursue a call prior to this point of no return, then the ministry can continue as a series of contract ministries indefinitely. 4. It should be agreed before signing the initial contract what the threshold for a vote to call will be. What percentage of a congregation need to vote in favor of a call is set in most congregational bylaws. However, that percentage is often quite a bit lower than what many ministers state they are willing to accept as a vote to call. It is difficult enough to get a 90 percent or 95 percent vote to call when you have only known the congregation for a week… and far more difficult when the minister has been amongst the congregation for any particular period of time. I am not saying there is a right answer for what such a percentage should be for a call in a contract-to-call process, only that it should be agreed to in advance by the congregation and the minister together. 5. Every effort should be made to limit the amount to which the possibility of a call is used to modify ministerial performance. I cannot stress this enough. These particular power dynamics are hard for a congregation or a ministry to come back from. Either this is a ministry you wish to call to your congregation, or it is not. Call should never be used as either a carrot or a stick, and I have seen it used as both. While I absolutely believe in congregational evaluation of and partnership with a minister in their development, I believe that the use of call as a motivator in that process is a misuse of the spiritual relationship between a congregation and a minister that call represents. I think it is impossible to eliminate this dynamic from the contract-to-call process entirely, however. I believe much of the attraction that congregations have to the contract-to-call process rests in a desire to use call in this way. I believe congregational leadership should do everything in their power to limit the amount this dynamic becomes a part of the contract-to-call process, and that the level of this within the system should be carefully weighed prior to passing the “point of no return”. If there is a significant amount of congregational desire to use the call process as a “ministerial motivator”, then call should no longer be a possibility. Like many practices in our congregations, I believe our lack of clarity around the contract-to-call process causes us to see its challenges more than its benefits. I am enough of a realist to know that our congregations will continue to call ministers in this fashion, and hope that by increasing the clarity and transparency, we can address many of those challenges and make this a healthier dynamic in how ministerial relationships are formed.